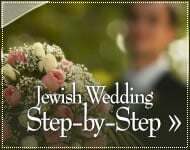 In depth discussion of the details of the Jewish wedding ceremony, the reasons for all the laws and customs, and the mystical significance of each step of the way. The bride and groom host separate receptions before the chupah. Find out what happens at these pre-nuptial receptions. One of the more moving ceremonies at a Jewish wedding is the "badeken" (veiling). This ceremony says much about the nature of the commitment between husband and wife. The bride's and groom's preparations for the chupah; the atmosphere that prevails throughout the ceremony; the legal and mystical implications of chupah; and much more. The why and how for everything pretaining to the procession which escorts the bride and groom to the chupah. The chupah is a combination of two distinct and complex halachic processes. This article will navigate you through the first part -- Kiddushin. The reading of the ketubah, marriage contract, serves as a pause in the action between the two focal points of the chupah ceremony. With the recital of the Seven Benedictions, the couple are utterly united, their souls finally connecting with their long-lost other halves. Immediately after the chupah, the bride and groom adjourn to the "yichud (seclusion) room," where they spend a few minutes alone. There are legal as well as practical reasons for this practice. 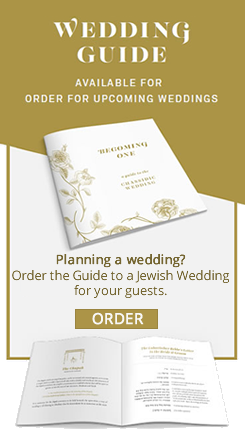 Singing, dancing, and merrymaking are the central feature of the Jewish Wedding reception, and continue throughout, with several intermissions when the various food courses are served. The wedding concludes with the Grace after Meals and the recitation of the Seven Benedictions.